Forget the map. Hop on a tour bus! Old Town Trolley Tours began selling tickets in the Metrorail system Friday. Representatives will sell tickets for sightseeing tours of D.C.'s monuments and other attractions from 9 a.m. to 3 p.m. every day at the Smithsonian Metro Station. There are plans to build actual sales and information booths at each entrance in the near future. The Metro Board of Directors approved the retail venture in June. 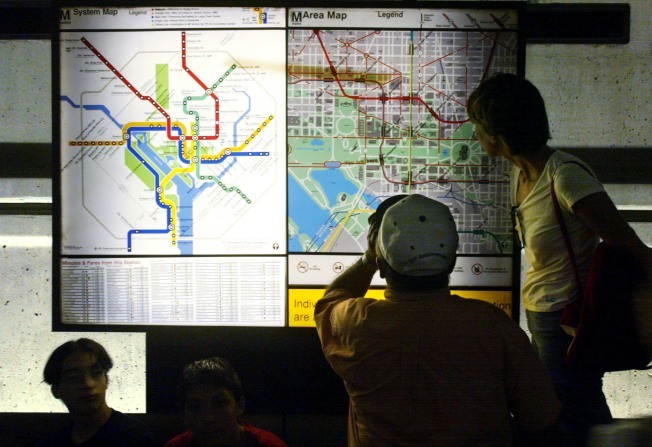 The board also reached a license agreement with Movie Solutions to have DVD rental machines in 10 stations: Farragut North, Farragut West, Foggy Bottom-GWU, Gallery Pl-Chinatown, L’Enfant Plaza, Metro Center, New Carrollton, Rosslyn, Shady Grove and Union Station. Those are coming this summer. Metro expects to earn about $880,000 over an eight-year period.